Brazil is a football crazy country. Apart from its interest in the game, the country is popular for its immaculate beauty, wealth of natural splendors, breathtaking panorama, and an assortment of outdoor adventures. However, it has much more to offer to its travelers. A geographically large country, it has borrowed its name from a tree called brazilwood that once grew in abundance along its shorelines. Today the country is a popular tourist destination and boasts of Amazon Rainforests, brilliant escapades, and magnificent spectacle. There is room for all kinds of travelers to relish their time here. Millions of travelers throng the country in search of solace, fun, and more. Some of the world’s stunning natural and manmade wonders adorn the beautiful country of Brazil. However, the best attractions listed on Brazil City Guide comprise Iguazu Falls, Copacabana, Estádio do Maracanã, Cristo Redentor, Sugarloaf Mountain, Corcovado, São Paulo Museum of Art, Credicard Hall, Hopi Hari, Supreme Federal Court, Porto de Galinhas, Mirabilandia, Beach Park, and Mineirão. Iguazu Falls are a set of waterfalls on the Iguazu River. The gush of water, the scenic locales, and the pleasure offered at this place is simply incredible. São Paulo Museum of Art is a haven for art lovers. The museum was founded in the year 1947. Today it is popular for its unique design and European art collection. It is also renowned as the best museum in the Southern Hemisphere. If you want to explore the rich cultural diversity in Brazil then the best time to plan a trip is from December to March. The city comes alive to music, festivities, joy, and happiness though these months. Both Brazilians and foreign travelers visit the place from different parts of the country and abroad. The Rio Carnival is one of the most popular events in the world, which draws crowds from even the farthest corners of the world. 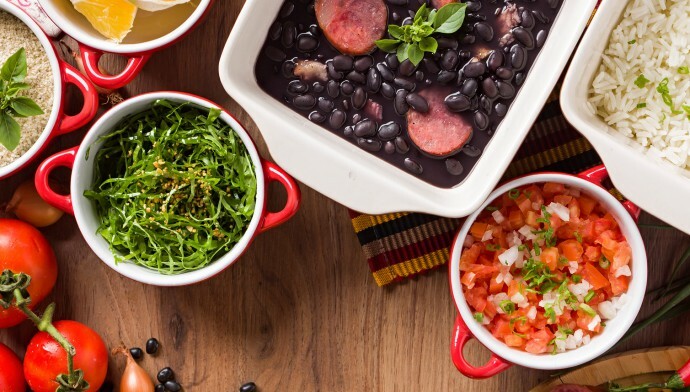 Fazenda Babilônia, Oro, Mocotó, Camarões Potiguar, Patuá da Baiana, Marius Crustaceos, Madame Butterfly, Bargaço, Piantella, Kosui, and Universal Dinerare some of the restaurants in Brazil that offer a gastronomical treat to their customers. Marius Crustaceos is a popular restaurant in Rio de Janeiro that specializes in Brazilian cuisine. It serves delicious oysters and caipirinhas. Besides the food and the flavors, it is also popular for its ambiance and in-house arrangements. On the other hand, Madame Butterfly is known for the delectable sushi. This ambiance and décor at the restaurant bares striking resemblance to the ones found in Tokyo. Delta Air Lines, TAM Linhas Aéreas, Aeromexico, and LAN Airlines offer Cheap Airfares to Brasilia. Aeromexico, Avianca, LAN Airlines, TAM Linhas Aéreas. JetBlue Airways, TAM Airlines, Lufthansa, and South African Airways operate business class flights to Sao Paulo. British Airways, ANA, Lufthansa, and TAP Portugal offer first class service to the city of Rio de Janeiro. 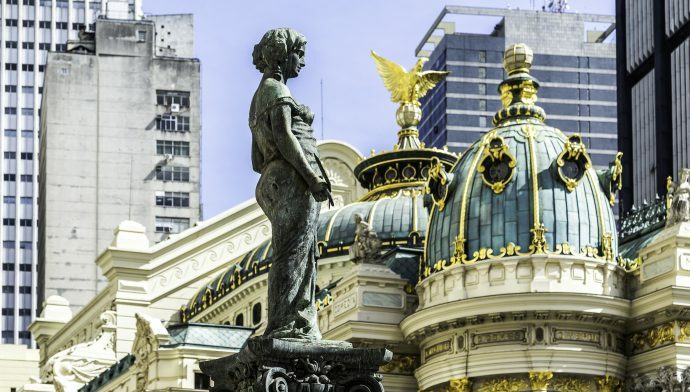 Copacabana in Rio de Janeiro and Rua Pedro de Toledo in Sao Paulo are some of the neighborhoods that offer cheap hotels in Brazil. Budget travelers can also explore options in other cities of the country. The city however, caters to the needs of different types of travelers who can also find mid range and luxury hotels here.